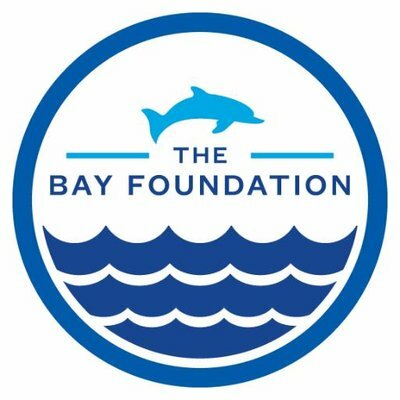 The Bay Foundation (TBF)—also known as the Santa Monica Bay Restoration Foundation—is a 501(c) 3 non-profit environmental group founded in 1990 to restore and enhance Santa Monica Bay and local coastal waters. TBF is staffed by science and policy experts who are passionate about understanding and protecting the Bay and the Bay watershed, and all the benefits that a healthy ecosystem can provide all those who use and enjoy it. TBF is part of the U.S. EPA’s Santa Monica Bay National Estuary Program (NEP)—learn more about estuaries HERE. The SMBNEP is one of 28 similar programs established under Section 320 of the 1987 Clean Water Act and administered by the U.S. EPA. As part of the SMBNEP, TBF is the non-profit partner of the Santa Monica Bay Restoration Commissionand the Santa Monica Bay Restoration Authority, and is focused on research, education, planning, cleanup efforts, and other priorities identified in the SMBNEP’s Bay Restoration Plan (BRP), a publicly-adopted comprehensive plan of action for protecting and restoring Santa Monica Bay. For more information on the entire SMBNEP, please visit the Background page.